Trolex, a provider of workplace safety technology solutions to the mining, industrial and tunnelling sectors, has released a real-time dust monitor, the Air XD. This new generation of dust monitoring significantly improves the accuracy of data being collected and therefore workforce safety in hazardous environments. The Air XD uses particulate sensor laser technology to monitor multiple sizes of dust particles at once, in real-time. This can provide organisations with the data required to reduce the number of deaths and diseases related to dust inhalation in the workplace. This is the first time that multiple real-time dust monitoring has been deployed in hazardous environments. 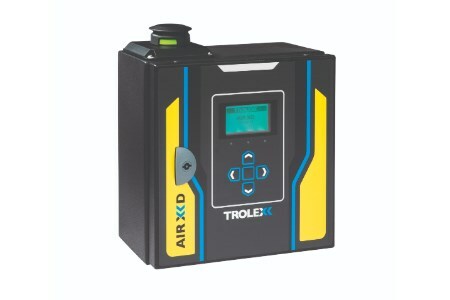 As well as increasing safety, the Air XD can help improve productivity and provide cost savings within operations because they require less routine maintenance - removing the need for engineers to be sent onsite and lowering the overall cost of ownership. The real-time application also allows operations to use live data to identify specific trends and peak levels of risk. This actionable insight can help improve safety procedures and protocols by reducing false alarms. Jones added: "The Air X series will provide industrial organisations with a far better understanding of what is going on in their work environments. For the first time they can use live, accurate data to ensure safety standards remain at the highest levels at all times."